Want to reach more orthodontists? Sell the way orthodontists want to buy. 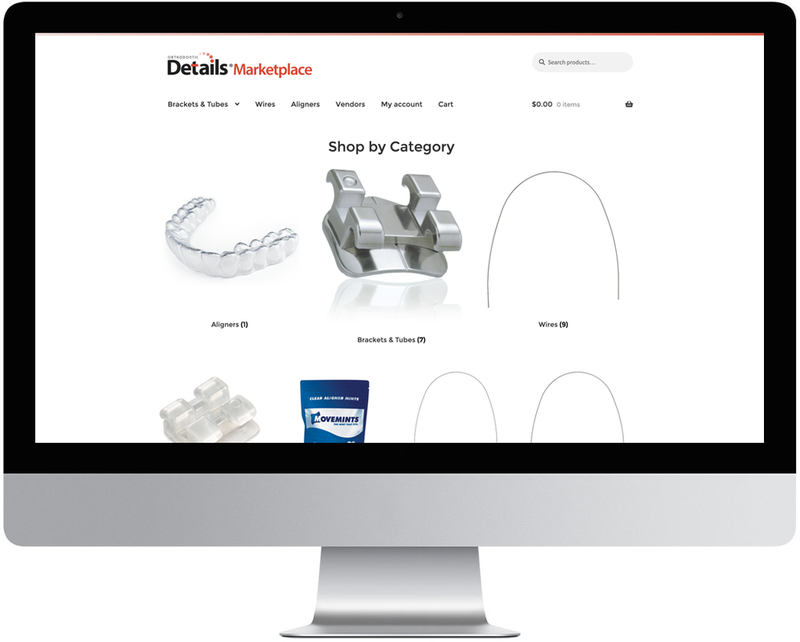 Meet the Details Marketplace - A new sales channel for orthodontic suppliers. We list your products on our online marketplace. Orthodontists discover, research, and purchase your products. You instantly receive orders and fulfill them using the same process you use today. Ready to add Details to your salesforce? Q: When does the Details Marketplace launch? A: Due to demand, and in order to provide a high-quality selling experience, we are currently in a closed pilot for a limited number of customers and venders. However, you can request an invitation to our next pilot group here. Full public access coming Summer 2019. Q: How is this different from a buying group? A: A buying group is a member-based discount club, where orthodontists still make purchases through traditional channels. Details is an entirely new way for orthodontists to buy products - no membership required. And if you have existing sales discounts with specific practices, buying club agreements, etc. they all can be easily applied during checkout on the Details Marketplace. Q: How does this work for orthodontists and their staff? A: Once public, orthodontic practices will be able to access, research, and purchase products on the Details Marketplace. Their order is immediately sent to you for fulfillment using your existing process. Q: What’s required of vendors who want to list products? A: To start, we’re only working with well-known and trusted orthodontic suppliers. Anyone who submits a request to list their products goes through a verification and approval process prior to their products being listed.